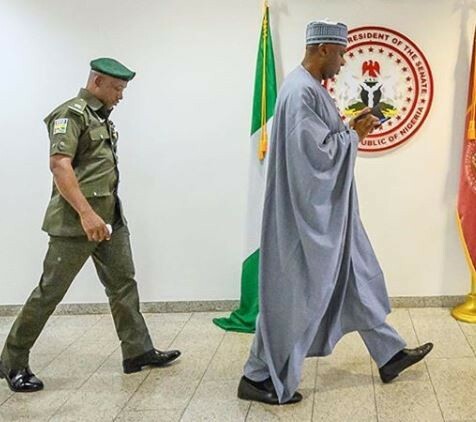 DSS withdraws operatives from Senate President Bukola Saraki and deputy, Yakubu Dogara – Royal Times of Nigeria. The Department of State Services (DSS) has recalled half of its operatives assigned to Senate President Bukola Saraki and Yakubu Dogara. According to a report by TheCable, this is coming ahead of talks between Vice-President Yemi Osinbajo and the nPDP team to be led by Dogara. Saraki is also a member of nPDP, the faction that broke away from the PDP in 2013 to team up with APC for the 2015 elections. The security operatives attached to the two presiding officers of the national assembly were directed to report to the DSS headquarters with immediate effect and no reason was given for the withdrawal, although it is believed to have been at the instance of the presidency.